Makunudu has its own “green” wall for its beach massage pavilion. The design isn’t just a creative re-use of the troublesome plastic water bottles, but also the semi-opacity infused the space with a muted and dappled light in the daytime. 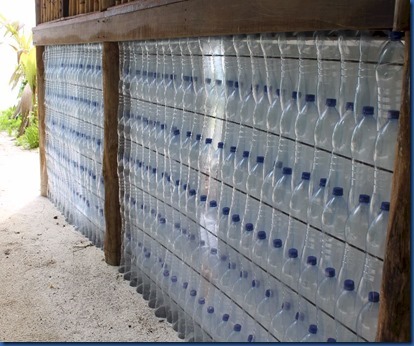 This innovation is just one of several clever uses of bottles so I have decided to add a “Bottles” category tag with this post. When the world gives you lemons…make lemonade. 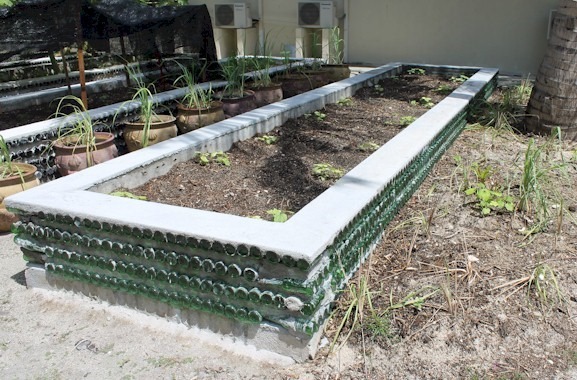 When the world gives you lemonade bottles…make eco-friendly walkway. 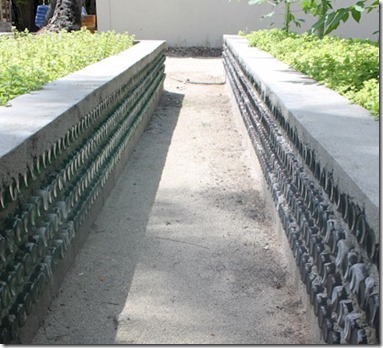 One of the more creative solutions to the earth-friendly plastic bottle disposal issue in the Maldives is Chaaya Reef Ellaidhoo’s walkways. 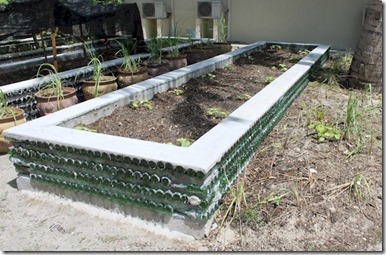 They have coated their discarded plastic bottles with a layer of natural looking cement and used the result cylinders to make an extensive set of walkway liners. 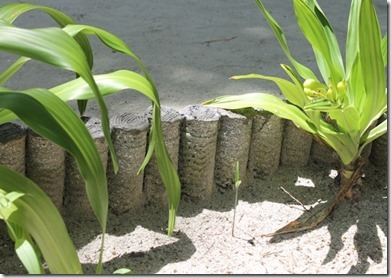 With my emphasis on discovery it took some big stuff to lure back to Kurumba for the third time when there were so many unseen resorts to hit. But I must say that the detour was worth it with quite possibly the most inspiring “Best of the Maldives” discovery of the entire trip. 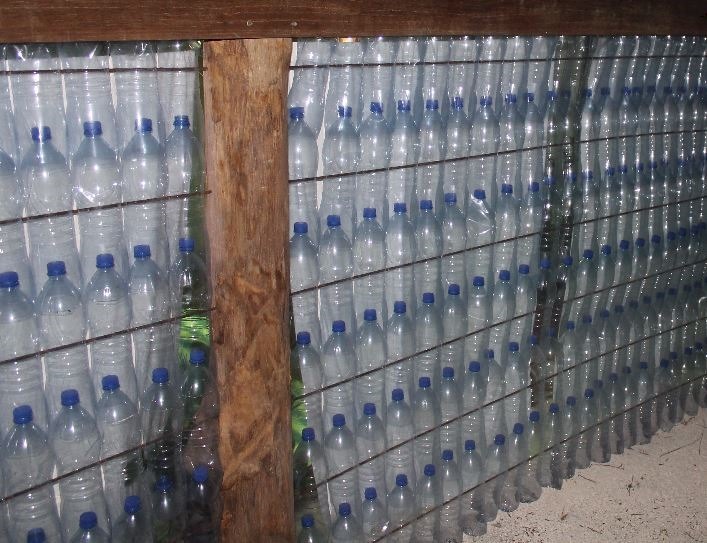 But as anyone who has ridden by Thilafushi will attest, the sheer volume of waste and rubbish is a massive challenge for the country. 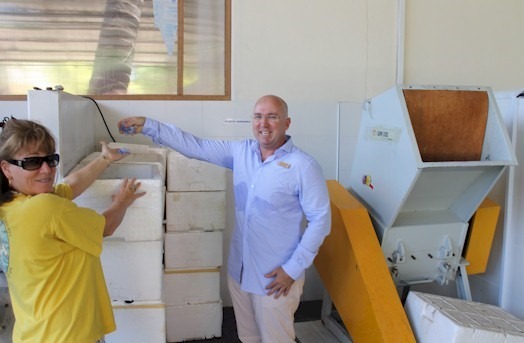 Most resorts are looking at packaging and waste reduction initiatives. But Kurumba is leading the way with a strikingly comprehensive recycling programme. And investments they are. 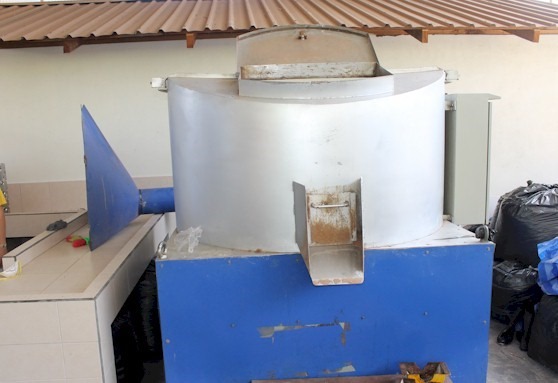 First, Kurumba has shelled out some serious capital to get some advanced machinery to process the waste. 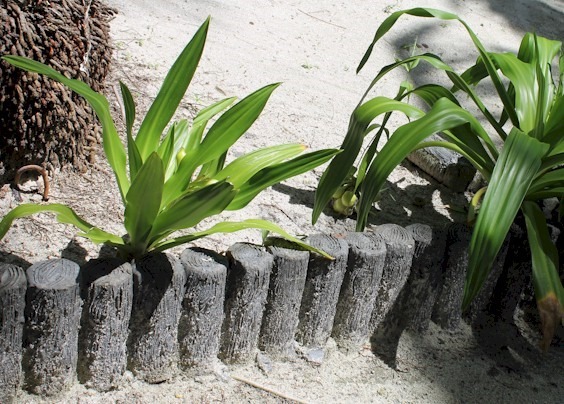 But more so than that, Kurumba is experimenting with these gadgets and tuning them and the processes around them to get the most out of them. 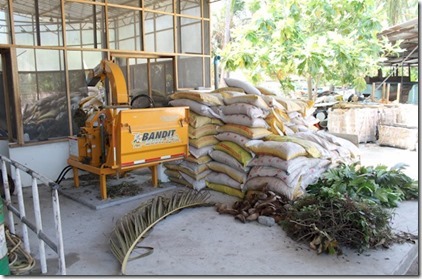 Coconut Husks – Ground down into “choir” which is used to make ropes and a range of building materials. 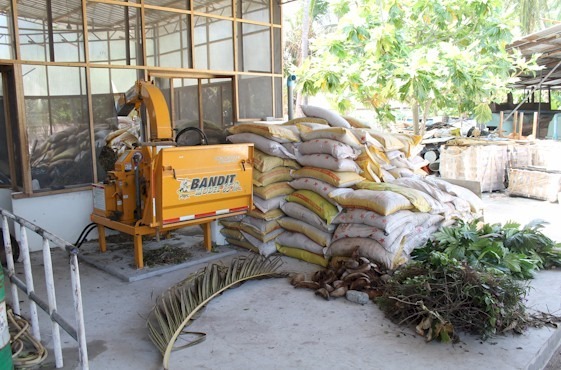 Also, using coconut husks to fuel their BBQs. They found out that the husks burn hotter than the charcoal used previously so they have had to adjust their cooking. 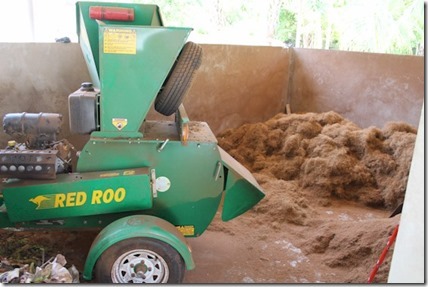 Green Waste – Shedder composter which mixes heat+air+bacteria for accelerated decomposition. Material basically broken down in 3 hours and then let sit for 40 days (it was supposed to be 10 days, but experimentation has shown 40 to be ideal for the best soil creation). 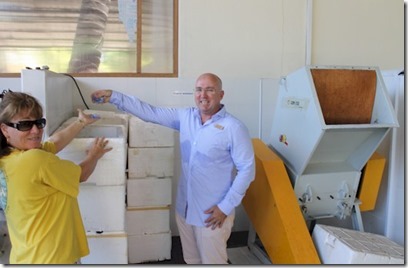 Going through 1700 kgs of kitchen waste per day. 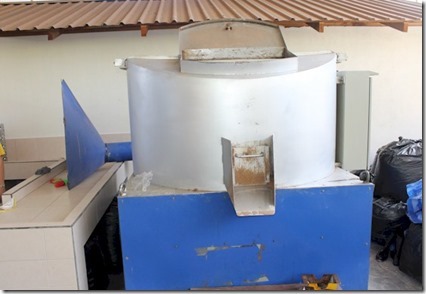 Styrofoam – Shedder to make filler for things like beanbags. Not working properly, but still experimenting to get it right. 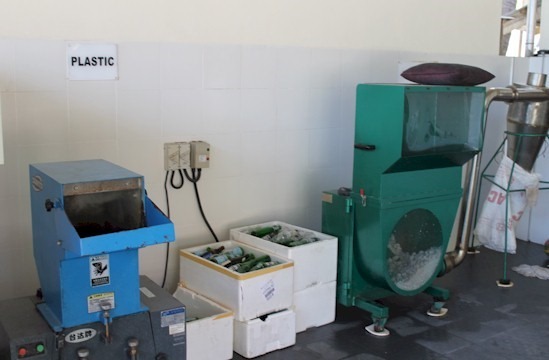 Kurumba is sharing its expertise with other resorts now and hopes to pioneer a drive to zero waste in the Maldives. 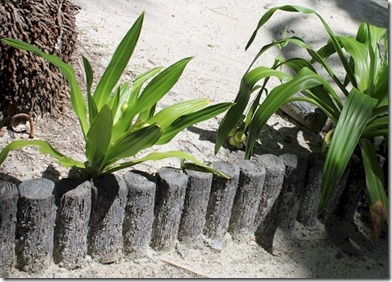 If successful, Thilafushi could itself be relegated to the dustbin of history. Perfectly timed launch coinciding with the Maldives’ ‘Always Natural’ campaign. Among the old-timer Maldives aficionados, there is a bit of nostalgia for the ‘no shoes, no news’ simplicity of old school Maldivian simple paradise. One of the details of that nearly by-gone era that my wife Lori and I miss are the battered ‘re-used’ soda bottles. 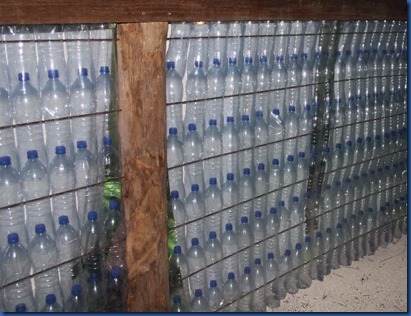 With the ecological mantra of “Reduce-Reuse-Recycle”, the re-used bottles were actually more environmentally progressive than the current practice of recycling. They had a sea-glass charm covered with the patina of many quenched thirsts. They also had sturdy heft to them for durability, but also making drinking from the bottle like holding a sculpted glass mug. 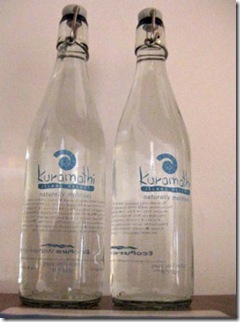 But, Kuramathi now takes it a reuse a step further adding locally produced beverage.